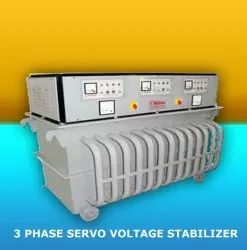 Offering you a complete choice of products which include servo voltage stabilizer, servo voltage stabilizers for hospitals, automatic servo voltage stabilizer, three phase servo transformer and air cooled servo stabilizer. 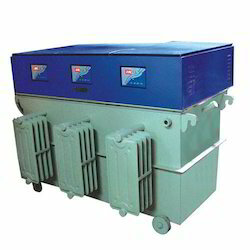 We are leading manufacturer and supplier of Servo Voltage Stabilizer for Hospitals. Input Voltage 360 - 480 Volts. 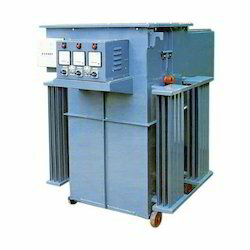 We are a noteworthy organization devotedly engaged in offering the wide gamut of Automatic Servo Voltage Stabilizer. 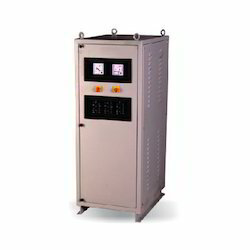 Our offered voltage stabilizer is manufactured using quality tested components and advanced technology in compliance with industry norms. 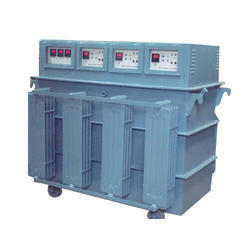 Input Voltage 360 - 490 Volts. Input Voltage 290 - 470 Volts.